Saved Me From Horrible Fumes! You're probably completely shocked that this Smokestop Filter costs as much as it does. But trust me, if you have any problems with odors, it's worth EVERY penny. 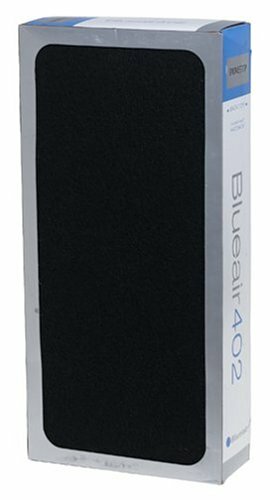 I normally use the regular Blueair filter for the 402, but I purchased the Smokestop after my neighborhood was flooded with horrible fumes from a nearby methane gas leak. The authorities deemed the gases as harmless, so no evacuations were ordered. However, being very sensitive to fumes of any kind, I became very ill. With no other place to go, I put the Smokestop filter into my 402 and moved the air cleaner into my smallest bedroom, where I camped out for the next couple of days. A trip to any other room of the house left me feeling nauseous, dizzy, with a raging headache and difficulty breathing within minutes (but the fumes were "harmless"!!). The room with the Blueair equipped with the Smokestop filter was absolutely free of odor. It was incredible. Since not everyone has methane gas leaks permeating their homes (thankfully! ), you may never get the chance to test the filter in this way. But it no doubt works wonders with cigarette smoke and other offensive odors that waft into your home. The filter has 2 "chambers." One filled with activated charcoal, and the other with the familiar Blueair patented white filter. So it doesn't just stop with odors, it still cleans particles from the air with great efficiency, and best of all, Q-U-I-E-T-ly. Just remember to change it after 6 months, even if it means going back to the regular (and cheaper) filter. Happy breathing!